The military leader, General New Win’s Revolutionary Council (RC) seized the state power on 02 March 1962 and claimed to crush the insurgencies within two years in the entire country. In fact, his conventional ways of handling the ethnic insurgencies had little impact or effectiveness. Soon after realizing that it was not functioning well, Ne Win government changed its strategy, and that was to pacify the armed insurgency groups through cooperation with the government, by offering cessation of armed hostilities for certain periods of time, rather than to solve the conflict with sincere political means. In 1963, when Ne Win attempted to engage a constructive dialogue, he appeared ready to talk with rebel forces. The first indication of his sympathetic gesture was the announcement of a general amnesty on 01 April 1963. And again, on 11 June, the RC announced of its willingness to meet representative of the armed opposition group with film guarantees of a ceasefire and safe passage to and from their jungle bases. Thirteen armed opposite forces, including Kachin Independence Council (KIC), interested to join the peace talk in the capital Rangoon. The Peace talk also brought in the other group from different parts of the country. In the second round, Maj. Zau Dan along with Lt. Malizup Zau Mai, Mr. Hpauyam L, Mr. Sumhhka Tu, Mr. Zau Yaw joined the peace talk in Rangoon. KIC and RC peace talks lasted from 31 August to 15 November 1963. The RC demanded all armed forces to surrender. The peace talks finally broke down after the RC put forward unacceptable conditions such as: all armed troops must be concentrated in designated areas, troops must not leave these areas without permission, all organizational work must stop, all fund-raising must stop, and the location of armed camp must be disclosed to RC. In response to the above demands, KIC delegates headed by Maj. Zau Dan and Lt. Malizup Zau Mai argued for an independent Kachin State with right of secession and self-determination. The peace talk was unfortunately broken at 11:00 AM on 15 November 1963. In fact, the root cause of conflict between the KIC and the Ne Win military government were not exposed during the dialogue by both parties, and sadly, it was unsolved. The year 1968 -72 marked the Burma Communist Party (BCP) greatest ever period of military expansion. the BCP’s main immediate target was the Kachin Independence Organization which had already overturn most of the Chinese border area in the Kachin State and controlled much of the Kachin Sub – state region in the northern Shan State. 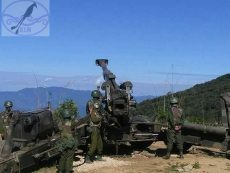 At the height of the BCP’s offensive, the fighting amongst the three sides namely the Kachin Independence Army, Tatmadaw and BCP broke out intensely in the Kachin State and the Kachin Sub – state areas. During this time, contacts for peace talk were made between Lt. Col Zau Dan (KIA 4th Brigade Commander, Kachin Sub – state, Northern Shan State) and Col. Sein Mya (Burma Army – Tatmadaw No. 99 Division Commander, Lashio, Northern Shan State). In June 1972, a three and a half month ceasefire was agreed between the KIA and the North – East Command headed by Col. Aye Ko. The RC tried to persuade the Kachin Independence Organization (KIO) to join forces against the BCP. In return the KIO requested supplies from the government. However, Brig, San Yu (Vice – Chief of Staff – Tatmadaw and Deputy Minister for Defense and Planning) turned down this request. In the end the three and a half month long ceasefire agreement disintegrated. In 1979, the KIO made contact the Burma Socialist Programme Party (BSPP) central authority through the respected local Kachin leaders for peace talks. In the following year, the BSPP made the state announcement for the general amnesty to all parts of the country. This general amnesty initially allowed for (90) days. But in the case of the KIO, the peace talk was extended to ten months (300 days). 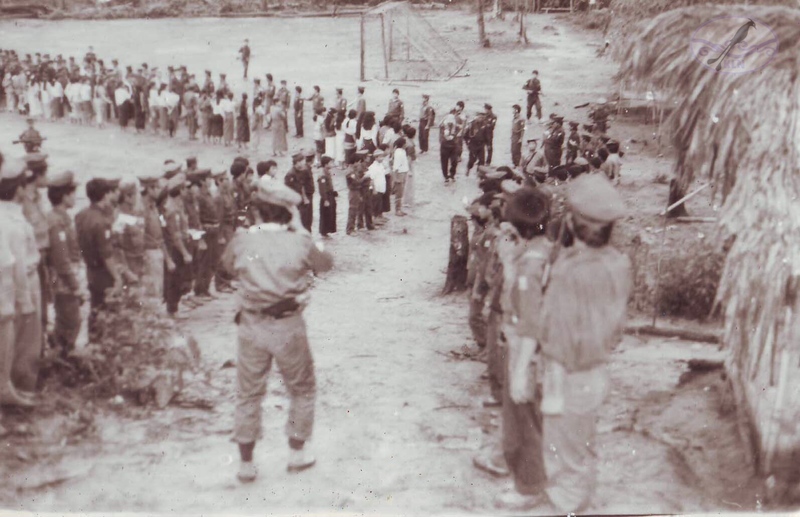 During the peak rainy season, on 17-18 August 1980 the MSL peace mediating delegates from Myitkyina, the Kachin State capital, arrived at “Dabak Yang”, from where they communicated with the KIO leaders, and the meeting was held there. “Dabak Yang” located on the MYitkyina-Bhomo motor road became the initial station of peace efforts in 1980. At the meeting of Dabak Yang, the mediation team brought the following messages for the KIO: “the KIO’s 20 years of prolonged revolutionary resistance does not yield a good result, which mean people are suffering from several kinds of troubles as far as the KIO hopefully depended on People’s Republic of China for military supplies, it is not possible to procure what the KIO needs; the BCP will not help KIO sufficiently (the BCP will not make the KIO greater than them); it is not possible to establish an Independent Kachin State; therefore come all together into the constitutional frame and join in the development effort for the Kachin State as well as for the Union of Burma. When the general amnesty period ends, the MSL government will launch offensive intensively in the KIO areas, the KIO and the people will be unnecessarily miserable because of the attack of Tatmadaw. As for sake of peace and welfare of the public, the peace should be sought together”. The explanation responded by KIO were: “the general amnesty does not clearly bring about the political solution, instead like forcing us to surrender, therefore the KIO headquarters is not in a position to accept the general amnesty, MSL offers. However, instead of the Independent Kachin State, KIO demands the autonomy with self – determination within the Union of Burma”. At the conclusion of Dabak Yang meeting, the peace mediators earnestly encouraged the KIO to negotiate with MSL authority for more meaningful dialogue if the KIO abandoned its Independent Kachin State position. Then, they all returned to Myitkyina to report the latest of the KIO to the MSL authority. As regards the connection of the previous Dabak Yang meeting, the peace mediation team diligently reached the KIO headquarters on 26th September 1980. They informed the KIO leaders that MSL authority needed to know clearly what the KIO meant about the autonomy with self – determination. Here, MSL and KIO had different political agenda. MSL authority desired the KIO to come first into the constitutional frame and then, negotiate the matters concerned. Contrary to that, the KIO wished to negotiate the matters first and then, if satisfied that it met its interests, they would enter into the frame of the MSL. In explanation of the above matters, the KIO says that “it is unacceptable what the MSL suggests, it means us to surrender to them, and it does not have the political meanings”. As for the self determined autonomy already explained in Dabak Yang meeting, the KIO elaborated again that their self – determination meant the greater control over State administration as well as political right, security, economics and social affairs. The agreement treaty between the BCP and the KIO was also indicated to them. On 6th October 1980, the peace mediators reported about the “MSL constitution of 1974” to the KIO Central Committee and disclosed that the general amnesty of MSL – 2/80 is extendible if required. On the next day, KIO Chairman Mr. Maran Brang Seng demanded the following three points to them: 1 to extend the MSL – 2/80 general amnesty period, 2. not to make any further demand since all had been already forwarded to MSL higher authority completely, 3. to include more persons in the peace negotiation team. were helicoptered in from Dabak Yang to Rangoon, the former capital city of Burma. The KIO delegation led by Chairman Maran Brang Seng arrived in Rangoon the same day they departed Dabak Yang. At Rangoon, the MSL top leaders, namely, President Ne Win, Mr. San Yu, Mr. Maung Maung Kha, Mr. Kyaw Htin, Mr. Than Hlaing, Col. Lahpai Hkun Nawng extended them a warm welcome. Having negotiated for peace at Rangoon for (5) days, the KIO delegates arrived back at Dabak Yang on 23rd October 1980, the place they had begun their peace odyssey. On the next morning (24th October 1980), they held a public meeting at Dabak Yang school and in the evening it was again held at Ja Pu. On 25th they reached the KIO Headquarters at Hpalap Bum. But, the long time sought peaceful reconciliation had yet to be settled. After KIO Chairman Maran Brang Seng’s team returned from the Rangoon meeting, the KIO Headquarters dispatched its delegation again, consisting of Mr. Layaw Zawng Hra, Maj. Gauri Zau Seng, Maj. Dauje Seng Hpung and Maj. Nbangbum Sinwa Naw to Myitkyina for a second round of peace efforts. The main issue to negotiate with the government authority was to include Kachin State autonomy with self – determination right into the 1974 constitution of the Socialist Republic of the Union of Burma. On 14th December, 1980 the KIO Headquarters sent its third round peace delagation headed by Mr. Lanyaw Zawng Hra to Myitkyina. Beside Mr. Lanyaw Zawng Hra, there were Brig. Lamung Tu Jai, Maj. Gauri Zau seng and Maj. Nbangbum Sinwa Naw in his team. When they arrive Myitkyina on 16th December, they were warmly received by Northern Commender Gen. Aye San, the Kachin state Chairman Hpauyu Hka, Regional Party General Secratary La-ung Yaw, MSL party member Ndu Zau Tawng and Mr. Peter Lasang Gawng. The third round of peace talks were held on 17th to 24th December 1980. In the meeting, mainly regarding the KIO’s demand, the enactment of autonomous rights in the 1974 constitution, were rejected by saying that since the 1974 constitution had been adopted by referendum, the Burmese Socialist Programme party (MSL, Party) had no right to acceded to the demands which had not been accepted by the vote of the people. There was also another obstacle. Article 11 of the 1974 constitution which says: “The State shall adopt a single – party system. The Burma Socialist Programme Party is the sole political party and it shall lead the state.” However, the KIO delegates firmly demanded the autonomous right to be accepted as a policy. The government authority replied that it was not possible to accept officially as policy. Further reasons they gave were that since it belonged to procedure section (8) it was not agreeable within the 1974 constitution of the Socialist Republic of the Union of Burma. The KIO also asked to place an “Ethnic Affairs Minister in the governing body of the Union of Burma. The MSL, party stated that they would need to take time to consider their reply. They agreed to fix the next fourth round meeting on 16th February 1981. On 28th – 29th December 1980, there was a large public gathering at Dabak Yang to where people from near and far came to express their own opinion. In here, the Kachin Public opinion was clearly to obtain “An entirely Sovereign, independent state” and if this was not possible, at least not to step down from the “Autonomous Rights” position. It was the public’s strong desire and opinion. Although they had fixed the date of the next meeting of peace talk on 16th February at Myitkyina, the KIO delegates were not able to leave the KIO Headquarters, Hpalap Bum, on 27th February. They reached Myitkyina on 01 “March 1981. This time also, Mr. Lanyaw Zawng Hra was KIO team leader along with Brig. Lamung Tu jai, Maj. Gauri Zaw Seng. The fourth round peace talks meeting were held from 03rd to 10th March 1981. The KIO delegates again continued to demand autonomous rights. They also negotiated about the ceasefire to be declared officially. The KIO team expressed its stance that a political solution could only be achieved through peaceful mean and by talking across the table. The MSL, pointed out two things mainly: 1. It had nothing more to say about the autonomous rights, which has already been mentioned in the previous meetings; 2. Regarding the negotiating meeting and the ceasefire announcement, it would make the decision when the KIO peace delegates arrived Myitkyina. Both parties had agreed in it and signed on it. wanted to extend to 15th May 1980. Maj. Lagai Tang Lai (1st Bde. BM). to make effort through political means in the negotiation – peace talk with the MSL authority. KIO Chairman Maran Brang Seng and his team members left KIO Headquarters, Hpalap Bum, on 10th May 1981 and met with Kachin Peace mediators at Dabak Yang. In the meeting, the KIO asked the MSL authority to use the phrase “to continue the peace negotiations,” but what the KIO asked was not accepted by the MSL authority. As the result, KIO chairman Maran Brang Seng and his team redirected their steps to the KIO Headquarters Hpalap Bum on 15th May 1981. The peace efforts came to an end at “Dabak Yang” from where it had been launched. Peace, a desire long felt, was again put out of touch. This article was first published in Kachin Research Journal Vol II in Jan, 2009.